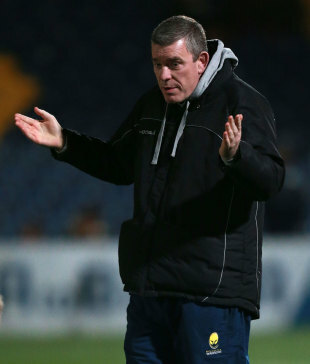 Worcester boss Dean Ryan will lead the Barbarians against England on June 1. Ryan has just seen his Worcester side get relegated from the Aviva Premiership but he will take charge of the famous invitational side at Twickenham in their annual game. The Barbarians have already confirmed a host of players for the game with England's Steffon Armitage getting the nod alongside three players from France, seven from New Zealand and three from Australia. Ex-All Blacks Ali Williams, John Afoa, Carl Hayman, Hosea Gear, Sitiveni Sivivatu, Rene Ranger and Jimmy Cowan have all got the nod alongside former Wallabies Matt Giteau, James O'Connor and Drew Mitchell. And they have also called up Julien Bonnaire, Francois Trinh-Duc and Aurelien Rougerie from France. England are likely to name a second-string side with none of the players who are journeying on the New Zealand tour expected to feature.